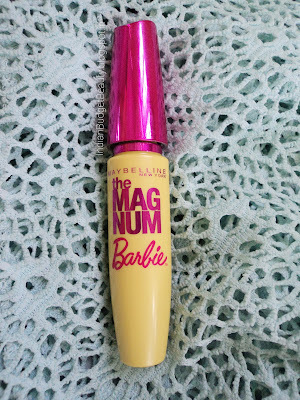 Maybelline launched a couple of new products in India, so I got my hands onto the new Magnum Barbie mascara! WAND & TEXTURE: The wand is similar to the falsies mascara and it contains tiny fibres. 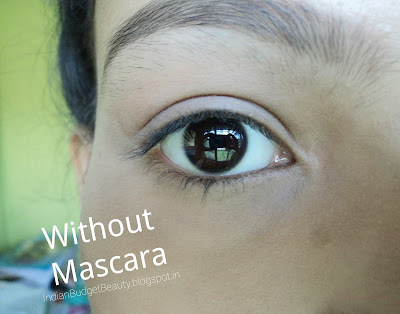 These fibres helps in lengthening the lashes. The wand is curved and it gives better control with the lashes. The texture is quite thick, it is not runny. 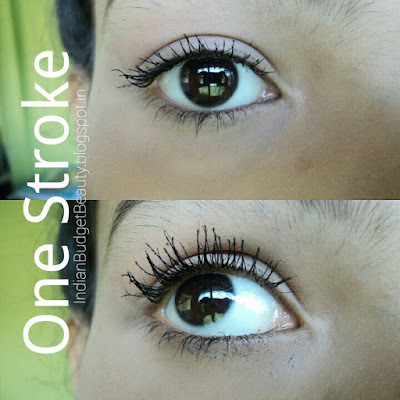 I give 4 out of 5 to the wand & texture. 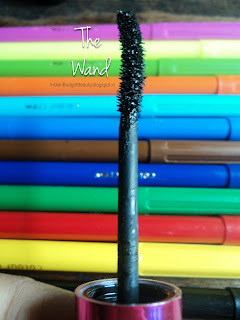 COLOUR: This mascara comes in only one shade, i.e., BLACK. The colour of the mascara is totally black. 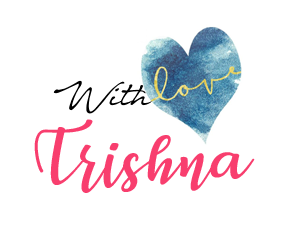 I give 5 out of 5 for the colour. PERFORMANCE: This baby gives fuller lashes in just one go. 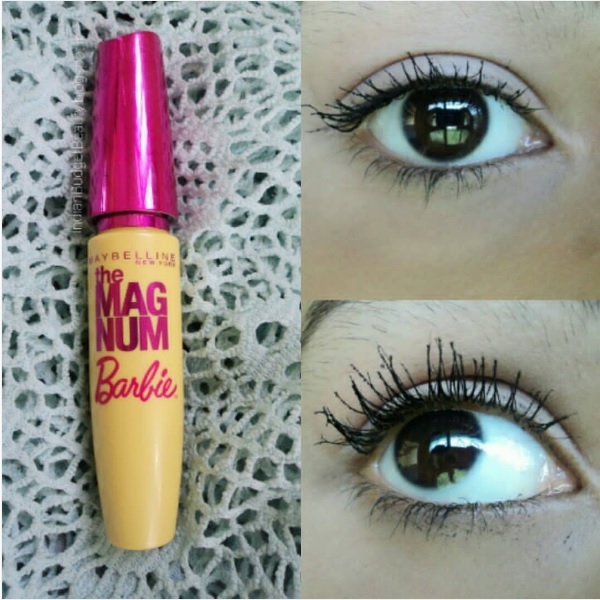 You just need to wiggle it through your lashes, that's it! 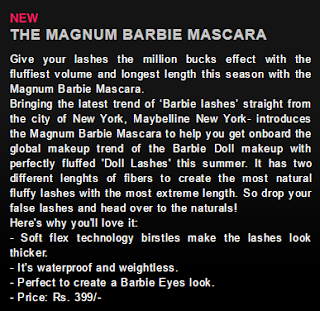 But if you go for second layer, it might give you clumpy and spidery lashes. 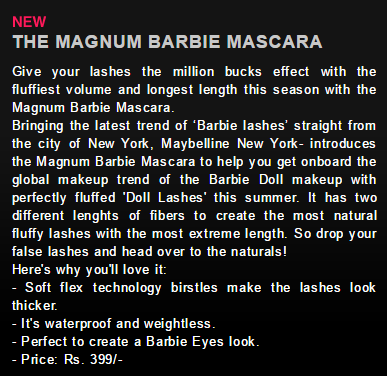 The mascara is totally waterproof so it might take quite a while to remove it. 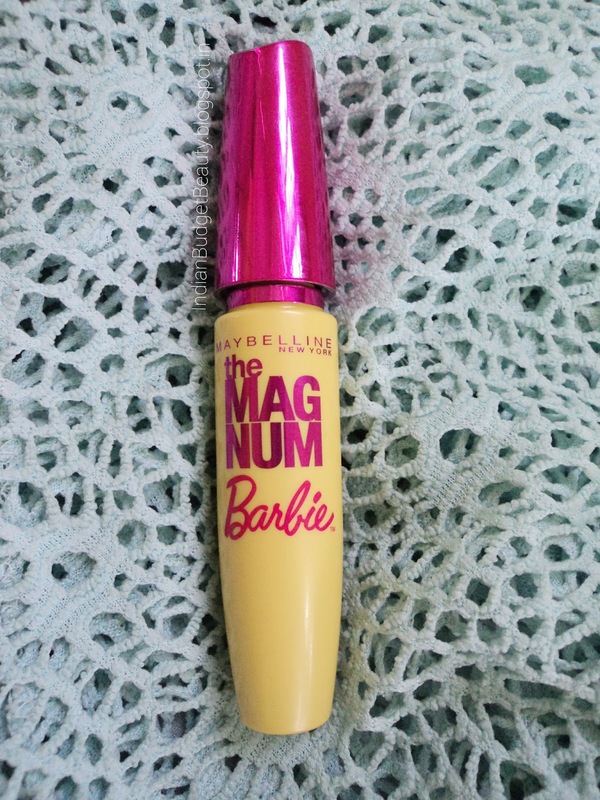 It gives dimension to the lashes and I love it. 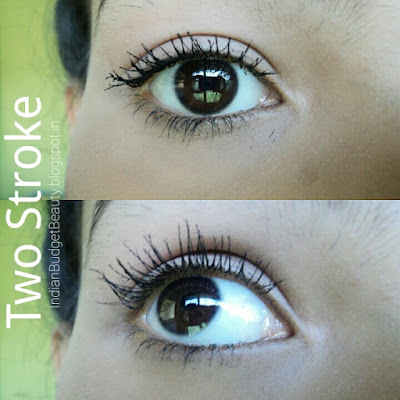 Doesn't curl the lashes much.